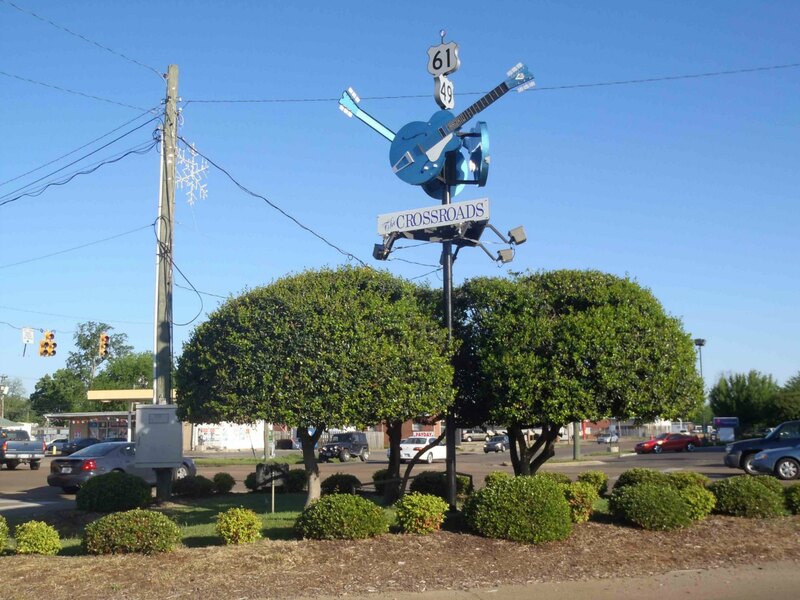 One restaurant we liked in Clarksdale, Mississippi was Abe’s Bar-B-Q, 616 State Street, near the Crossroads marker at the intersection of Highway 61 and Highway 49. 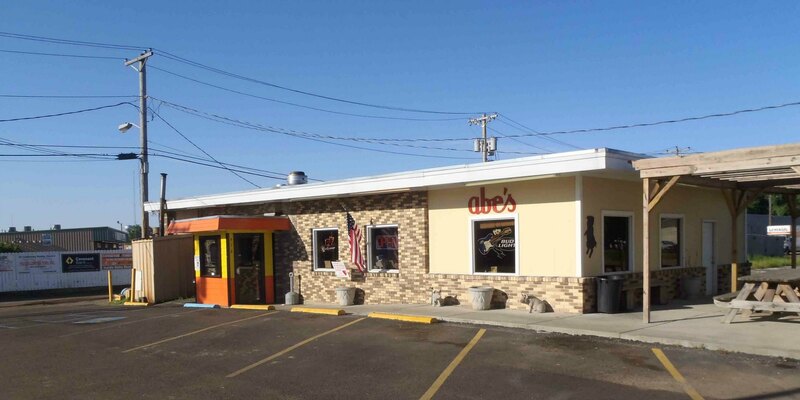 Abe’s BBQ has been in business since 1924. It is nothing fancy to look at but the food was good, it was clean and the prices were reasonable. We will be going back whenever we are in Clarksdale. Here is a photo of the roadside sign outside Abe’s Bar-B-Q. 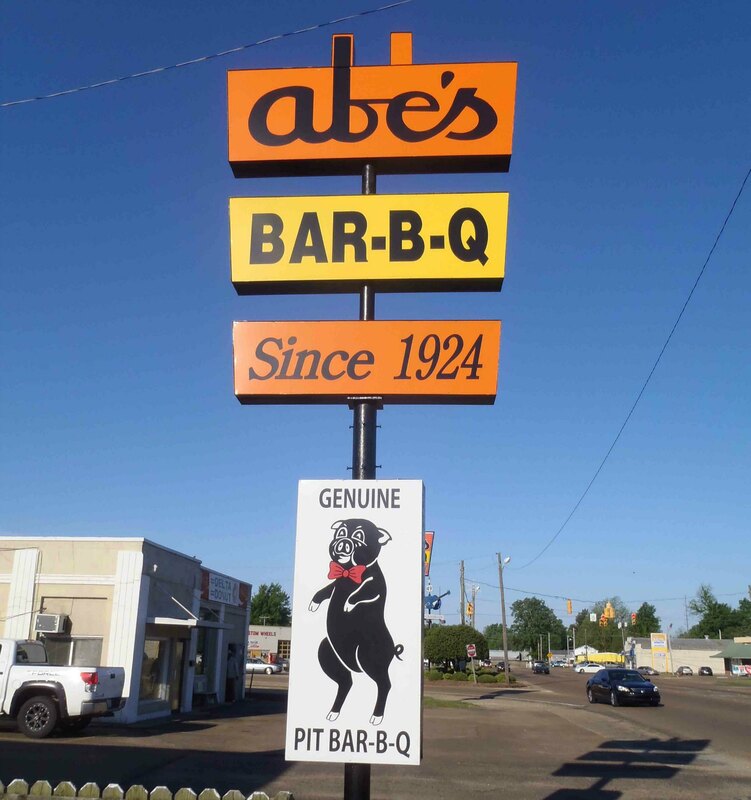 Abe’s Bar-B-Q is near the Crossroads marker at the intersection of Highway 61 and Highway 49.